For the past three years, Longridge Wine Estate has added an unforgettable event as a prelude to the annual Stellenbosch Wine Festival by hosting an exquisitely elegant gala dinner in the streets of Stellenbosch. 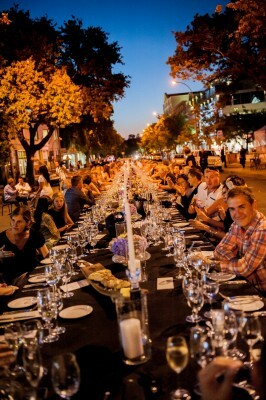 On Wednesday, 27 January, guests will once again have the opportunity to be part of the magic as Plein Street in front of the historic town hall is transformed into an enchanting open-air dining room with live music and an incredible five-course gourmet dinner matched sensationally with five wines from the celebrated Longridge wine portfolio. This fine-dining experience will be exclusively prepared for only 300 guests, who will be able to dance the night away under the lush oak trees and star-lit African skies. On arrival, guests will be welcomed with a glass of Longridge Brut Rosé or Blanc de Blanc bubbly and canapés of fresh oysters with rose vinegar, chilled watermelon soup, spicy Cape Malay beef samosas and herb tempura. For the first course, guests will enjoy an oven roasted tomato tart with caramelised onions, soft Galbani mozzarella, calamata and caper tapenade tossed with organic greens from the Longridge restaurant kitchen and balsamic syrup served with a special pre-release surprise. A sublime white blend The Emily will accompany the second course of cured local Helderberg Mountain trout with nuances of dill, pepper and lemon, topped with a Dijon mustard and honey mayonnaise. The third course is a symphony of pan-fried beef fillet topped with a gourmet terrine of slow roasted beef cheeks, beef tongue, sweetbreads and finely chopped veal liver enhanced with flavours of grain mustard and finished with a rich red wine jus. Served on a potato and leek dauphinoise with steamed fresh green vegetables and a cinnamon infused pumpkin fritter, it is the perfect partner to the luscious 2012 Longridge Cabernet Sauvignon. A delectable roasted peach and almond frangipani served with Galbani mascarpone and fynbos honey and the celebrated 2009 . . .
Nancy Richards will be Interviewing Philani Dladla about his BIG ISSUE. Philani Dladla used to read books and review them to survive. Now he’s written one and is telling his story to help others. We invite you to come and hear the story of a young man who found a passion for reading, overcome a drug addiction, and is now known as the Pavement Bookworm. Tickets: R160 on Webticket (http://goo.gl/nfzD6O) Enquiries: charlene@hippocommunications.com Author: Chantelle Heath from HIPPO Communications. Images: For high res version/s of One image/s please contact HIPPO Communications. 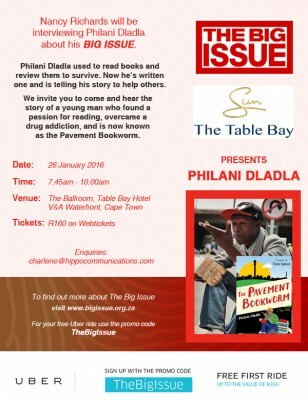 The Big Issue Breakfast - Pavement Bookworm CLICK HERE to submit your press release to MyPR.co.za. Have a look at the online visibility from 01/15/2016 to today for The Big Issue Breakfast - Pavement Bookworm: Google Search Results Bing Search Results Yahoo Search Results DuckDuckGo Search Results Twitter Mentions . . .
Its 2016! New Year's resolutions are fun to make but can be difficult to maintain. Whether it’s to hit the gym regularly, eat healthily, be more adventurous or to getaway, Groupon have a variety of deals to achieve your 2016 New Year's resolutions! Cape Town: • Muay Thai Training Sessions from R59 at Monkon Muay Thai & MMA (Up to 84% Off) Get out of your comfort zone with a new activity and technique. Muay Thai Training Sessions at Monkon Muay Thai & MMA in Cape Town, offer three, sessions for one person to the value of R225 Read more about the incredible deal here: https://www.groupon.co.za/deals/monkon-muay-thai-mma-3 • Two for One: Unisex Adjustable Velcro Waist Trainer for R199 Including Delivery (60% Off) Get that hour-glass shape with the Unisex Adjustable Velcro Waist Trainer. This can be used as a waist-training garment during any normal exercise routine or as a body-shaping undergarment to look flattering in any outfit. Read more about the deal here: https://www.groupon.co.za/deals/gg-including-delivery-1-22 • Breedekloof Wine Valley: Two or Three-Night Weekday Stay for Up to Four at ATKV Goudini Spa Revitalise and re-energise at ATKV Goudini Spa situated in the scenic Breedekloof Wine Valley, and only an hour from Cape Town. Travellers go inland for a comfortable rondavel stay surrounded by mineral springs and mountain views with a two night weekday stay for up to four people sharing at ATKV Goudini Spa Read more about the deal here: https://www.groupon.co.za/deals/ga-atkv-goudini-spa-6 Johannesburg: • Two and a Half Hour Zipline Adventure with Soft Drink from R389 for Two at Waterberg Zipline Adventures (Up to 61% Off) Adventurers take to the treetops with a two and a half hour zipline adventure, including a soft drink to the value of R1000. Get an elevated view of nature with an adrenaline-packed zipline tour with an abundance of plant life, indigenous trees, 250 exquisite bird species and other wild . . .
A visit to the Kirstenbosch Craft and Food Market is an absolute must for those who enjoy a relaxed Sunday shopping browse, in one of the most beautiful settings in Cape Town. The 25 year old Kirstenbosch Craft and Food Market has a proud tradition. The outdoor setting is in the historic Stone Cottage grounds on the Kirstenbosch Estate, with the majestic Castle Rock as a backdrop. The stalls consist mainly of craft (with a few minor exceptions) made and sold by the stallholder. Enjoy choosing wares from artisans and craftspeople who display their unique products, including clothing, jewellery, pottery, and wood carvings. It is the perfect place to find gifts for friends or something special for your own home. Buy a delicious bite to eat at one of the many food stalls, while enjoying the music from the University of Cape Town’s finest musicians, and perhaps, take a food basket to the beautiful Kirstenbosch botanic gardens, across the road from the market, and enjoy a picnic to end a perfect day. Children are most welcome and well catered for. 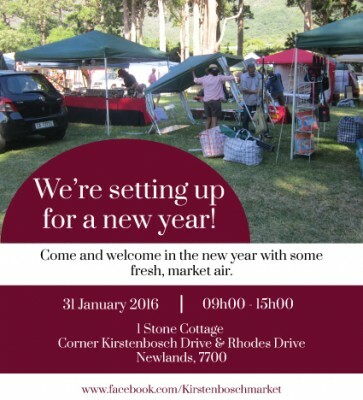 Time: 9am-3pm Address: Stone Cottages, on the corner of Kirstenbosch Drive and Rhodes Avenue. Author: Jessica Miller from HIPPO Communications. Images: For high res version/s of One image/s please contact HIPPO Communications. Kirstenbosch Craft and Food Market CLICK HERE to submit your press release to MyPR.co.za. Have a look at the online visibility from 01/13/2016 to today for Kirstenbosch Craft and Food Market: Google Search Results Bing Search Results Yahoo Search Results DuckDuckGo Search Results Twitter Mentions . . .
Macrocosm Ultra Digital Pty Ltd is a leading internet marketing company based in Cape Town, South Africa. They are specialised in search engine optimisation, social media marketing, pay per click marketing, link building and all other internet marketing. Their digital marketing services generate qualified traffic and lead for your business. Things that may interest you about Macrocosm: Digital M Theory: The Digital M-Theory is the process by which they use digital tools to create real world customers. This theory includes the correct domain name registration, organic Search Engine Optimisation (SEO), written and visual content creation etc. This digital marketing agency also works as a social media consultant. Communication Language: The staff of this digital marketing company speaks to their clients in English that is easy to understand; there is no use of technical or professional language. Easy digital marketing strategy: Digital marketing is a term that often confuses business owners and sometimes scares them. But, Macrocosm has changed this by demystifying digital marketing with frank realities and authentic advice. Its White Hat internet strategy makes it unique from the others. Lead Management System: Ultra Service Macrocosm has a section named M-People Management section of their website. According to the company’s term, this is called M-zone. By logging in here, the clients can see all the details about digital experience, from administrative and accounting documents, prompts and alerts for different contractual and project timeline needs to watching the daily progress of your projects. The clients are able to upload text, picture or video content for web or social media projects. This is the ‘ultra service’ provided by Macrocosm. To know more, you can simply visit their website at http://www.macrocosm.capetown/ About the company: Macrocosm Ultra Digital is a unique digital communication agency that provides custom solutions for . . . 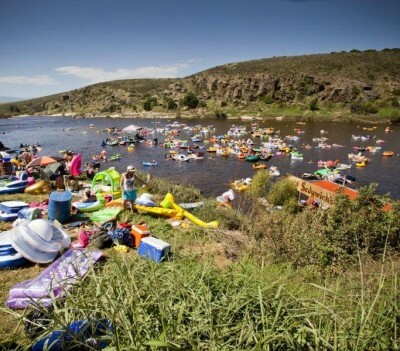 Although the holidays are over, summer is not and there is still lots of fun to be had such as at the Up the Creek festival which is being held on the banks of the Breede River near Swellendam from 28 to 31 January. Sedgwick’s Original Old Brown, celebrating its 100th anniversary this year, will be very much part of the festivities so bring your friends and come and join in the fun. There will be three stages offering legendary music performances by artists such as Guy Collins, Shortstraw, Rubber Duc and Good Luck just to name a few, as well as some of the best comedy acts the country has to offer. You can enjoy all of this while chilling on your lilo or any other inflatable. (Creative floating devices are welcome!). Sedgwick’s will have its famous river raft equipped with bean bags and hammocks, ready for you to enjoy while taking in the beauty of the river. For those not keen to be in or on the water, a dedicated Sedgwick’s chill zone will be available on land with an acoustic stage to enjoy more live performances. You can take on your friends at various card games or even at a giant Jenga if you believe you have the makings of a master builder. Find Sedgwick’s at the main bar and stay refreshed with Sedgwick’s mixed with ginger ale or lemonade. When a legendary old friend turns 100, what better way than to celebrate it with one of the ultimate river parties. Visit www.upthecreek.co.za for more information and to purchase tickets. Author: Louise De Kock from DKC. More Info link: http://www.upthecreek.co.za/ Twitter: https://twitter.com/DKC_PR Images: For high res version/s of Three image/s please contact DKC. Sedgwick's Old Brown at Up The Creek Photo: Sedgwick's Old Brown Sedgwick's Old Brown river raft Photo: Sedgwick's Old Brown Sedgwick's Old Brown chill area Photo: Sedgwick's Old Brown CLICK HERE to submit your press release to MyPR.co.za. Have a look at the online visibility from 01/11/2016 to today for Go Up The Creek . . .
Indulge yourself in an unforgettable love celebration at Nederburg and The Red Table restaurant this Valentine’s week. Create a utopian Valentine’s experience with The Galileo Open Air Cinema and picnic experience. From Tuesday, 9 February until Saturday, 13 February, treat your loved one to a romantic a la carte lunch at The Red Table, or create memories with a picnic for two under the trees. Additionally, on Saturday, 13 February, Nederburg welcomes The Galileo Open Air Cinema to its picturesque farm. Begin the afternoon with a relaxed stroll through Nederburg’s manor house and the winery’s lush gardens. Then share an evening underneath the stars with a loved one, or a friend, to a screening of Shakespeare in Love. Pre-order a picnic basket for R500 per couple from The Red Table. It includes delicious fresh salads, cured meats, artisanal cheeses, crackers and bread, grilled tiger prawns, asparagus spears wrapped with Parma ham, tartlets, and finally, decadent chocolate brownies with strawberries, a bottle of Nederburg Première Cuvée Brut as well as still mineral water. On the night there will also be stalls offering food, mineral water, soft drinks as well as coffee and tea. The same picnic baskets offered by The Red Table for the film screening will be available throughout Valentine’s week, but excluding Monday, 8 February. On Sunday, 14 February, the Red Table offers the ideal Valentine’s four-course menu, priced at R650 per couple and offered for lunch and dinner. Start with delicious salmon ceviche, watercress, radish and red onion salsa, followed by bacon-rolled chicken, goat’s cheese, roasted cherry tomatoes, wilted spinach and toasted pine nuts. Then enjoy the main dish of grilled beef fillet, baked parmesan baby potatoes, fine beans, young carrots and bone marrow jus. Seal the deal with caramel, dark and white chocolate tart, pistachio Turkish delight and fruit compote. On all occasions, Nederburg’s delicious wines will be available for . . . Although packing and unpacking boxes is a major element to moving homes, it is certainly not the only factor that needs to be considered when changing your address, says Adrian Goslett, Regional Director and CEO of RE/MAX of Southern Africa. “When it comes to moving homes there are also a few legal matters that will require attention,” says Goslett. “Each situation will be different and as such there will be unique aspects that should be taken into account. For example, if the new homebuyer was renting their previous property and are still bound by the lease agreement, they will need to read through their contract to see what their options are. They might be able to be released from the lease agreement early or find another tenant that could take over the property until the terms of the lease ends. This will require some research and a discussion with the landlord.” Goslett notes that there are a number of legal and technical details that buyers need to keep in mind when moving. He offers some advice and considerations for buyers moving to a new home: It is best to ensure that the move is covered A vital aspect when making arrangements with a moving company is to check whether any mishaps are covered by insurance. The homebuyer should read through all documentation provided by the moving company to see what falls under their insurance coverage during the move and what isn’t. While the moving company will provide some insurance, depending on the contract, it might be worthwhile to take out additional coverage. Send change of address to the relevant parties A change of address notification will need to be sent to all creditors, along with being changed on any banks accounts. This will ensure that no payments or important notices are missed by the homeowner that could affect their credit record in the future. As a precaution, Goslett says that the homebuyer should also ask the post office to forward all post to their new address. The change of address . . .
It’s CONCERTS IN THE PARK season and once again we’re bringing you the finest world-class acts our fair country has to offer, in the most beautiful public settings, absolutely FREE! De Waal Park’s old Victorian bandstand provides a space in which we can deliver amazing entertainment to the benefit of the community and park absolutely free, making it truly accessible and open to all. This year again we are bringing Capetonians a star studded programme, and thanks to the support of generous sponsors and public donations this experience is still completely free to all. The first concert of 2016 is on SUNDAY, JANUARY 17th. ARTISTS FRESHLY GROUND Freshlyground formed in early 2002, and is made up of seven talented and diverse musicians from South Africa, Mozambique and Zimbabwe. Fronted by the diminutive but dynamic Zolani Mahola, the band exudes a live performance energy that has been the bedrock of their success. THE RUDIMENTALS The Rudimentals started in 2001, with roots in ska and reggae music blended with African elements. The vocal section includes three MCs. There’s a keyboard player, an electronic and beats synth-player, a drummer and backing vocalists –powered by a rude-boy brass and rhythm section. MARK HAZE Mark Haze’s signature sound of high energy Rock ‘n Roll is guaranteed to have audiences on their feet. His influences range from classic rock legends to blues masters all the way through to modern rock. Author: Sarah Van Der Ahee from HIPPO Communications. More Info link: http://www.hippocommunications.com/ CLICK HERE to submit your press release to MyPR.co.za. Have a look at the online visibility from 01/04/2016 to today for CONCERTS IN THE PARK - DE WAAL CONCERTS: Google Search Results Bing Search Results Yahoo Search Results DuckDuckGo Search Results Twitter Mentions . . .
Good day My name is Melanie Nieuwoudt. My sister and I recently went through a legal battle, while protecting our business name – Cederbrew, a micro-brewery from the Cederberg. Please take the time and read our crowdfunding campaign. 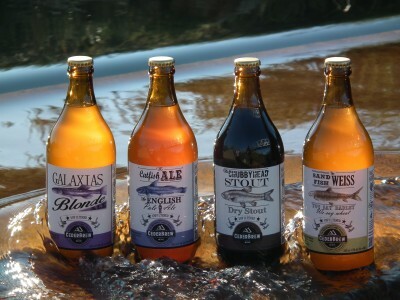 http://jumpstarter.co.za/campaigns/sister-craftbrewers-cederberg-seek-funding-legal-battle/ We need the exposure, but I think it will be a great platform to start addressing the issues the growing craft beer market faces – being pushed around and bullied by ‘the big guys’ (which is the wine industry in South Africa’s case and not necessarily SABMiller as people might think). Please also contact me if any additional information is required to fortify a story. Author: Melanie Nieuwoudt from Ceder Brew. More Info link: http://jumpstarter.co.za/campaigns/sister-craftbrewers-cederberg-seek-funding-legal-battle/ Twitter: https://twitter.com/cederbrew Facebook: https://www.facebook.com/cederbrew/ Images: For high res version/s of Two image/s please contact Ceder Brew. Our full range of beers Photo: Henry-Louise Mouton Ceder Brew beers Photo: Marilize Birkenstock CLICK HERE to submit your press release to MyPR.co.za. Have a look at the online visibility from 12/26/2015 to today for SISTER CRAFTBREWERS FROM THE CEDERBERG SEEK FUNDING FOR LEGAL BATTLE: Google Search Results Bing Search Results Yahoo Search Results DuckDuckGo Search Results Twitter Mentions . . .